Recently a fascinating burial was discovered in Worcester; that of a pilgrim who lived in the mid-15th century. What makes this find extraordinary is the preservation of organics in the grave, including, rather spectacularly, the man’s tall leather boots. His pilgrim’s staff was also present. The Worcester pilgrim certainly provides a window on the world of the late Middle Ages. This “new portrait of Anne Boleyn” has been making the rounds in social media, and now is being publicized in several news articles. It is not Anne Boleyn. The sketch that is circulating is a third-hand copy of a painting that used to be in the collection of Horace Walpole. He was given the painting by a lady of the court who identified it as Joan, Baroness Bergavenny. Walpole had no reason to doubt this identification, and added it to his collection. The painting was sold in the 1840s, and has apparently vanished from existence. Now, a “historian” has identified it as being Anne Boleyn. But there are serious problems with this identification, which I will break down here. The earliest sketch of the painting looks quite a bit different than the one that is circulating. The necklace is missing the “R” initial that sparked so much excitement. The description of the original painting when it was sold states that the necklace had only the initials “A” and “B.”) While that, on its own sounds exciting, we need to remember there were many women of the Tudor court that had those initials. The “R” initial was an invention of the sketch artist who either copied the image incorrectly, or decided to add his own touch of whimsy. The woman’s clothing is completely wrong for an identification as Anne Boleyn. The style of the hood puts the image firmly in the early 1520s. The lappets – the white part of the hood – almost reach the woman’s collarbone. 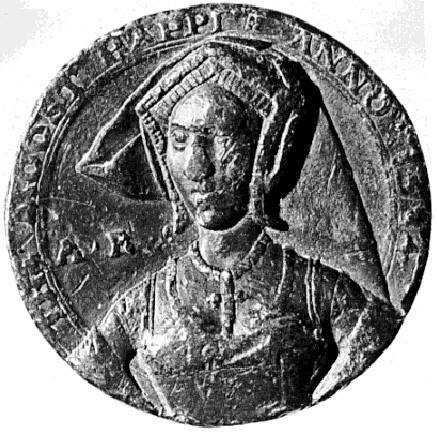 In the 1530s, lappets were chin length, as you can see in Anne’s portrait medal. They got shorter as the 1530s wore on, and by 1536 when Anne went to the scaffold, they were at about mouth level. The gown itself dates more to the 1520s, as well. The neckline is square and covers the shoulders. The necklines in the 1530s had gone wider, making them more rectangular and revealing more of the shoulders. The white bands at the shoulders had disappeared by Anne’s reign, as well. Anne Boleyn was known to always be at the height of style and an innovator in fashion. She would not have worn something so out-of-date as queen. Anne Boleyn was not rich enough in the early 1520s to afford the jewels the sitter wears, nor would she have been able to wear them due to the sumptuary laws. In the Hever/NPG portraits, the most famous and recognizable images of Anne, she is wearing jewels more appropriate to her station. It should be noted that those portraits were painted after Anne’s death, but they’re thought to be based on a lost original. Anne was either thirteen years old or twenty years old in 1520 (depending on the birth date you believe.) The sitter in the sketch is clearly a middle-aged woman, not a young girl. Even the description of the painting says the sitter is a middle-aged woman. The hood has the letter “I” and “A” repeated. The “I” initials are larger than the “A”s. 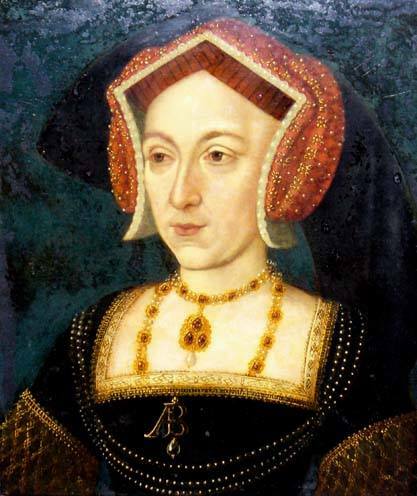 This lady’s given name started with an “I” or a “J.” “A” was a secondary name, given less importance.There is simply no way to explain the “I” initials in the context of Anne Boleyn. Anne favored the HA cipher after her marriage. She and Henry put it on everything from her personal jewels to the buildings erected during her reign. If it wasn’t “HA” it was “AR” or “ARS” for Anna Regina Sovereign. It’s inexplicable for her to revert back to a simple “A” with no mention of her marriage or royal status – via crown jewels or other symbols – anywhere in the image. The sitter in the sketch is not royal. She’s obviously rich and titled, but she has no indications of royalty whatsoever. If this really was a coronation portrait, Anne would have worn some of the crown jewels, such as the “consort’s necklace” all of Henry’s queens after Anne are painted wearing. The sitter is holding a carnation flower, which has been said by the historian to stand for “coronation.” I know of no other portraits in which that symbology was employed. The carnation generally stood for marriage or betrothal. 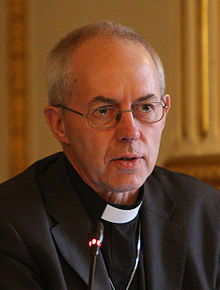 The most reasonable interpretation for the image is the one Walpole was given. 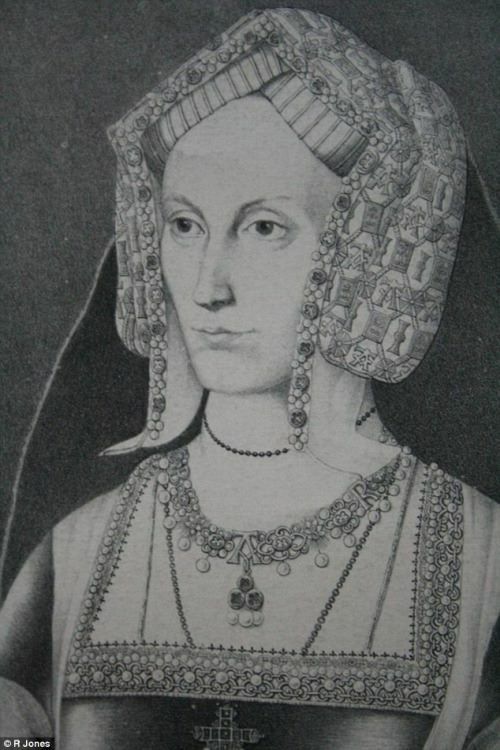 This is a painting of Joan, Lady Bergavenny, likely painted posthumously. (It was common for posthumous paintings to be styled in the latest fashions. See the portrait of Mary Tudor and Charles Brandon for an example.) 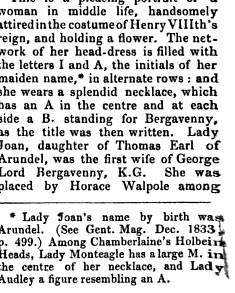 The painting was meant to celebrate the union of the Arundel and Bergavenny houses through the marriage of Lady Joan, hence the initials “A”, “B” and “I”, with the latter being the largest because it identifies the sitter. The carnation then has its usual meaning of marriage. I cannot say that the identification of Lady Bergavenny is absolutely certain. 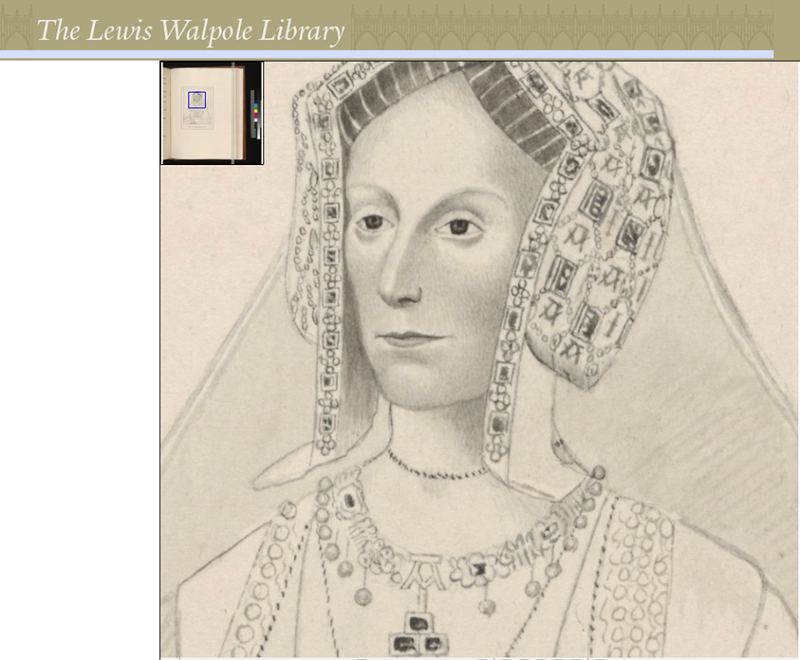 But I am certain that the sitter in the sketch is not Anne Boleyn. Peter Sellers’ version of Shakespeare’s Richard…. OK, there are times when I really do like Shakespeare’s Richard! This may be from back in 1965, but it’s still absolutely brilliant. The Bard’s Richard reviewed by a Ricardian…. Yes, yes, ANOTHER review of Shakespeare’s Richard. Don’t sigh, because this one is written by a Ricardian, who makes sure she sets the actual record straight before she goes on to speak of the production in question. Thank you Lynn Beaver. My only grizzle? I could have done with a few more paragraph breaks! Endless solid lines of print can be difficult to read. Bridport’s pride in its link with Richard III…. Things are afoot in Dorset to mark Richard’s visit to lovely Bridport. He may not have been there for long, but that he did is to be marked by the town. Good old Bridport – my father’s home, and well known to me! Edmund II (Ironside) is a curiosity among English Kings. He reigned for barely seven months, succeeding his father Ethelred II (Unraed) on St. George’s Day 1016 but dying “in suspicious circumstances” on St. Andrew’s Day the same year. He was the half-brother of Edward the Confessor and grandfather of Edgar the Atheling, thus the ancestor of every English monarch from 1154. 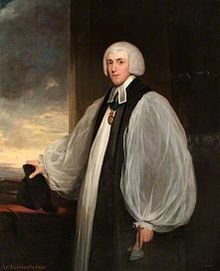 As the grandfather of St. Margaret of Wessex, second wife of Malcolm III, he was the ancestor of every Scottish monarch from 1093 (except Donald Bain, Malcolm’s brother). Edmund’s reign began from a bad position as the northern part of England was occupied by the Danes. Sveyn Forkbeard, their King, had temporarily supplanted Ethelred in 1013 but he died the following year and Ethelred’s authority was restored. Edmund, Ethelred’s third but eldest surviving son, fought alongside him and continued the struggle after his death, raising an army and defeating the Danes, under Sveyn’s son Cnut, at least twice near London until he suffered a reverse at Assandun in October 1016 and re-divided England with Cnut. He died the following month, possibly poisoned by Eadric Streona, his brother-in-law, and Cnut became King of all England. In any event, Cnut had Eadric executed at Christmas the following year. Assessing Edmund as a King and commander is, therefore, even more difficult than with Richard III, his descendant. Another connection is that a play from c.1590, reputedly written by Shakespeare, is named Edmund Ironside, heavily featuring Cnut and Eadric. A sequel, Hardicanute, named for Cnut’s son and successor but one, is now lost. 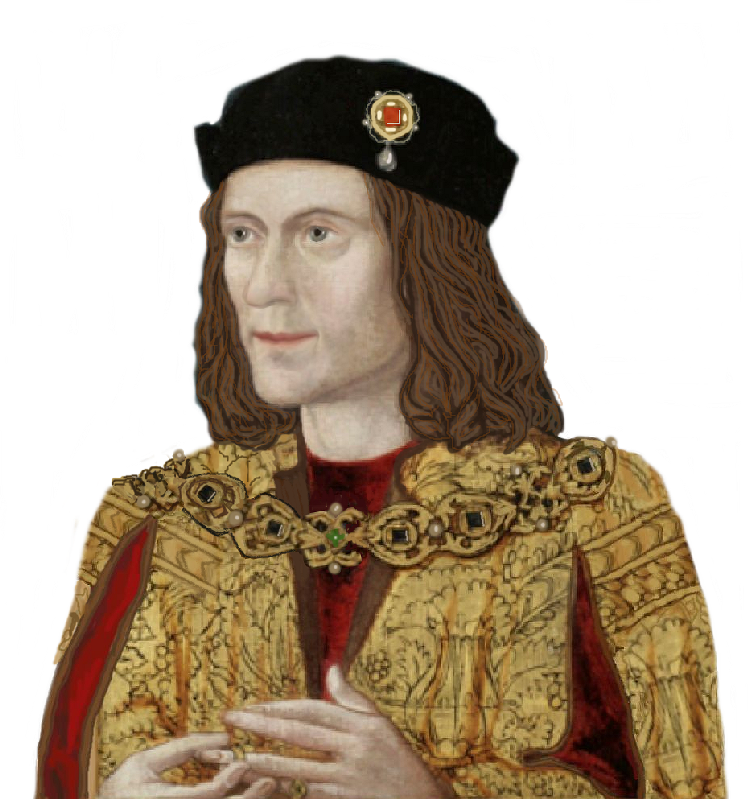 His biography of Richard III, which was among those suggesting (correctly) where to find Richard, although it slightly underplayed the significance of Edward IV’s bigamy. The Lost Prince, in which he argued cogently that Richard of Eastwell was Richard of Shrewsbury, the former Duke of York. Robin Hood: The English Outlaw Unmasked, in which he identified Hood as an adherent of Simon de Montfort, which would explain the Friar Tuck anachronism. Henry VIII’s Last Love, about that King and Lady Katherine Willoughby. 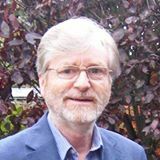 David Baldwin’s penultimate (68th) birthday coincided with Cardinal Nichols’ ecumenical service at the start of Richard’s reburial week. 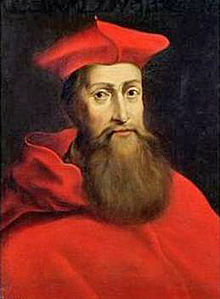 His death occurred on 6 April, or 25 March (ie Lady Day and the first day of the year) under the Julian calendar. An early vindication of Richard…. The following article by Annette Carson is an important and interesting read, proving that when the Tudors had gone, Richard was once again spoken of with honesty. Thank you Annette.